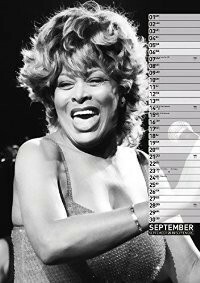 International Tina Turner Fan Club - Welcome! Warner Music Japan releases the Private Dancer 30th Anniversary Edition at the 27th of May 2015. It is a 2 Disc release. The funny thing is, we only have this info from Warner, Japan. Trying to get more information. Tina had a wonderful time at the Oktoberfest in Munchen with Erwin, last week. Enjoy the pictures. This is from Endemol UK, the TV producers of Million Pound Drop, Deal or No Deal and Pointless. 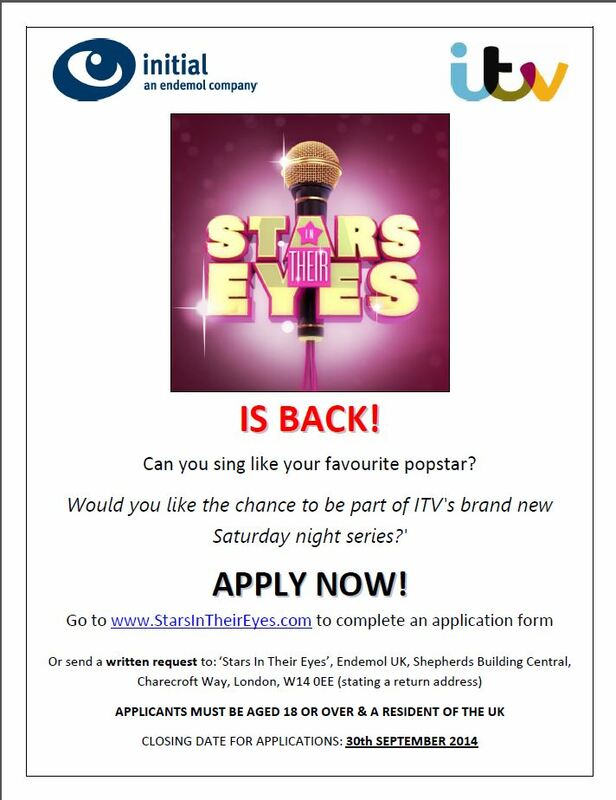 We are casting for a new entertainment show ‘Stars In Their Eyes’. We like to share the following information: Endemol UK are on the lookout for people who sound like their favourite pop star! This exciting new revival of the hit series will be hosted by award winning comedian Harry Hill, who will unleash his unique wit on this much loved British TV favourite. Win an autographed Tina photo! Hope to see you soon! We will send you a private message if you won the photo. SIDE A: 1. You Should'a Treated Me Right 2. It's Gonna Work Out Fine 3. A Fool In Love 4. Poor Fool 5. I Idolize You 6. Tra La La La La SIDE B: 1. Sleepless 2. I'm Jealous 3. Won't You Forgive Me 4. The Way You Love Me 5. I Dig You 6. Letter From Tina. Thanks Aleksander! Eagle Vision will be releasing Tina Turner Celebrate & One Last Time on a single blue ray disc in March. The release date appears on Amazon.com for the UK. 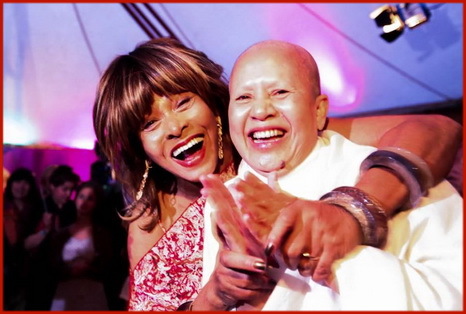 The American release date for Tina Turner Celebrate/One Last Time blu ray, will be released April 1, 2014. Amazon.Com(United State based site) is already taking pre-orders. 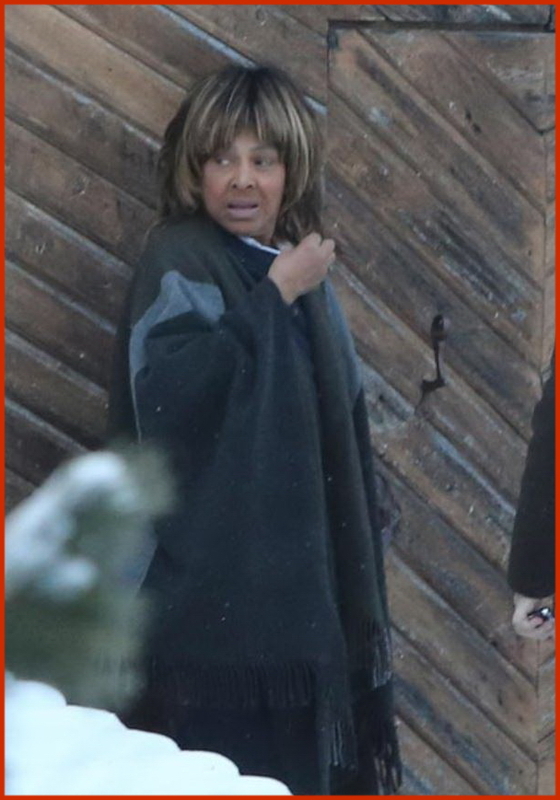 Lets cross our fingers for a Tina What's Love Live blue ray & upon the 30th anniversary of Private Dancer, a blue ray of the Private Dancer tour. Thank you and please spread the word to our fellow Tina fan family. Did you attend Flagg Grove School? Did you attend Flagg Grove School in the northwest area of Haywood County near Nutbush and Ripley? If so, we would like to talk with you and document your stories about the school and what it was like to attend there. The Center is also seeking items from the school including pictures of the school, class pictures, old school books, school and PTA programs, and any other items relating to the school. Flagg Grove School is currently being restored and stories and items collected will help tell the story of the school and the students who attended. 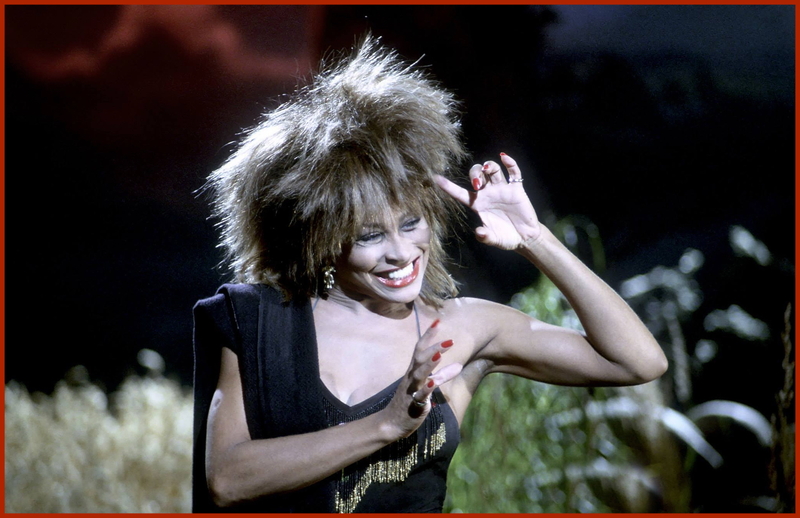 It will also house memorabilia from its most famous student, Anna Mae Bullock, known worldwide as Tina Turner. If you attended or have information related to the school, please contact us at 731-779-9000 or email info@westtnheritage.com. Thanks Sonia! 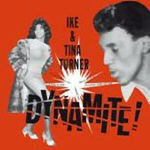 ...the original compilation album "The Best of Ike and Tina Turner" BTS49 on vinyl! Here is the link: Amazon.com SIDE A: 1. Bold Soul Sister 2. I've Been Loving You Too Long 3. The Hunter 4. I Know (You Don t Love Me No More) 5. I Am A Motherless Child 6. I Smell Trouble SIDE B: 1. Crazy Bout You Baby 2. Rock Me Baby 3. Early In The Morning 4. You re Still My Baby 5. You Got Me Running (Baby What You Want Me To Do) 6. Dust My Broom. Thanks Aleksander! With restoration underway, the Delta Heritage Center in Brownsville, Tenn., is excited to announce Tina Turner’s contributions to the Flagg Grove School project. Turner has been involved with the project since her childhood school was moved in 2012, including a sizable donation towards the restoration by the Queen of Rock herself. 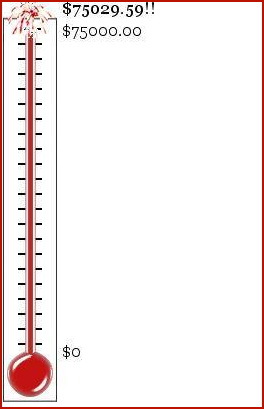 This donation is in addition to the recent campaign to match a $75,000 donation by local attorney Pat Mann Jr. and his wife, Ann. In a recent statement by Turner, she expressed thanks to the community for their participation and involvement in the restoration. Turner is fully supportive of the project and happy to be able to give back to her community. In addition to a generous monetary donation towards the restoration of the school, she will be providing all the memorabilia, display cases, gold record awards and stage costumes from her long career. Concert videos will also be showing in the school. All of which will become part of the school’s interpretive exhibit. 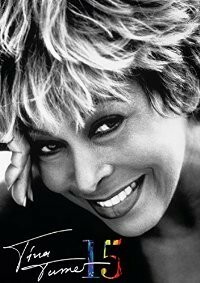 Eagle Vision will be releasing Tina Turner Celebrate & One Last Time on a single blue ray disc in March. The release date appears on Amazon.com for the UK. No information about a US release date yet. Lets cross our fingers for a Tina What's Love Live blue ray & upon the 30th anniversary of Private Dancer, a blue ray of the Private Dancer tour. Thank you and please spread the word to our fellow Tina fan family. For the first time, Parlophone brings together a collection of the Rock and Roll Hall of Famer’s greatest love songs. The album spans more than three decades and includes 18 tracks selected mainly from Turner’s impressive string of gold and platinum solo records. Much of LOVE SONGS retraces Turner’s emotional comeback, which began in 1983 with Private Dancer, an album that’s sold more than five million copies. This new collection includes three songs from that record, a cover of Al Green’s “Let’s Stay Together,” the Top 10 title track, and “What’s Love Got To Do With It,” which stayed atop the charts for three weeks and was inducted into the Grammy Hall of Fame in 2012. Several selections from her other records released in the 1980s are also included here with “Two People” from Break Every Rule (1986) and “The Best” from Foreign Affair (1989). Turner continued to electrify audiences in the 1990s with “Way Of The World,” a new song featured on her greatest hits collection Simply the Best (1991) and “I Don’t Wanna Fight” from the soundtrack to her 1993 biopic What’s Love Got To Do With It. To close out the decade, she released two more solo records – Wildest Dreams (1996) and Twenty Four Seven (1999). Both albums are represented on this collection by fantastic songs like “When The Heartache Is Over” and her cover of John Waite’s “Missing You”. 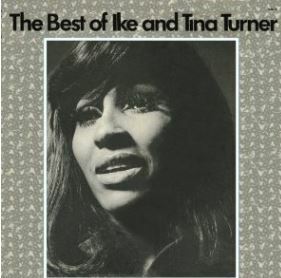 Along with music from her solo career, LOVE SONGS also includes one collaboration: “River Deep – Mountain High,” the magnificent track Turner recorded with Ike Turner in 1966. In 1999, the song was inducted into the Grammy Hall of Fame. Happy New Year .... and THANK YOU! You did it!!!! Flagg Grove Challenge has been met! Thank you to all who have contributed to this effort. It couldn't have happened with out every one of you! Happy New Year!